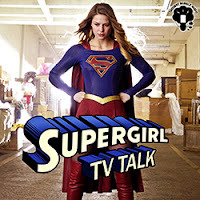 ☊ Podcast: Supergirl TV Talk 1x20: "Better Angels"
Frank and Tim are joined by returning guest host Palmer to discuss the Supergirl Season 1 finale and all the game-changing events that ensued. From swordfights to fistfights to throwing forts into space, there was a lot going on this finale. And as always, the listener mailbag and the Cat Grant Quote of the Week make an appearance. Enjoy!